Deal Alert: Right now, B&H Photo Video has an exclusive $1000 discount on the HP ZBook x2 G4. The HP Zbook x2 G4 is a 2-in-1 notebook powerhouse, combining a hefty workstation with a detachable tablet mode that is perfect for creatives. 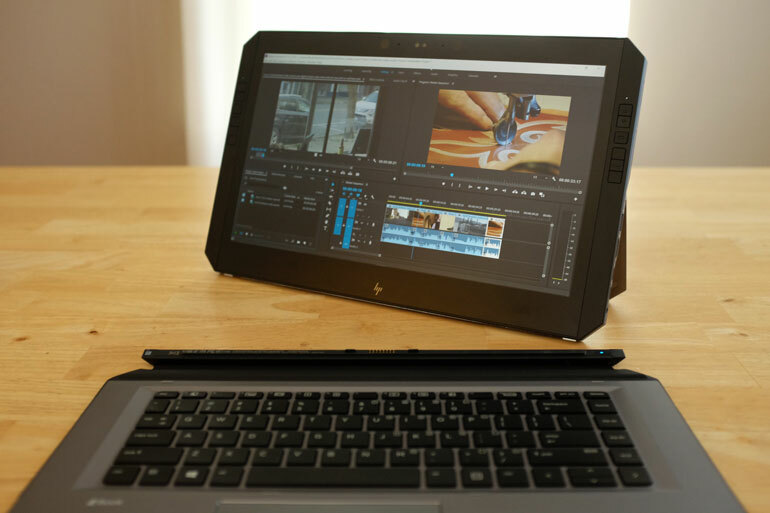 With the Zbook X2 G4, HP has gone specificaly for the professional creative market, which includes not only video producers and editors, but also photographers, designers, architects, web developers, and so on. We creative professionals depend almost entirely on our computers for our work, so it’s nice to see a computer that is tailored specifically to our needs. 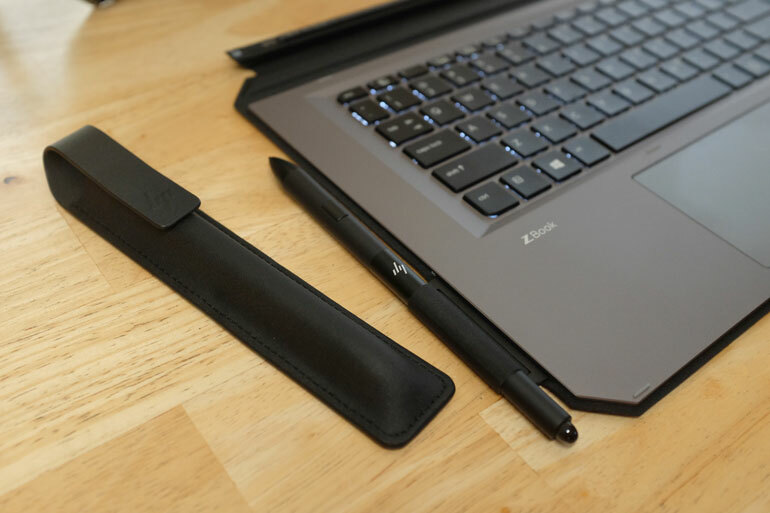 The Zbook X2 is made to work especially well with Adobe application﻿s, and there are a few ways it’s tuned for the Creative Cloud suite of applications. 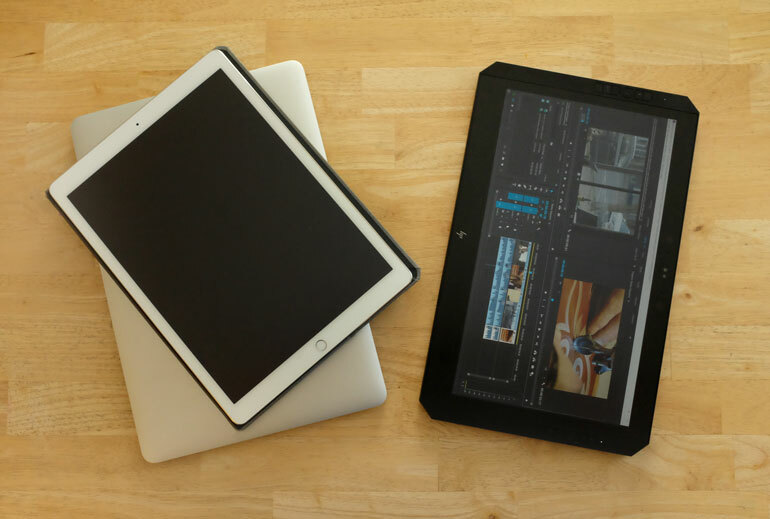 But more importantly, it’s designed to deliver the power required to handle processor-heavy tasks like editing in Premiere Pro, but in a form factor that also enables you to customize your mobile work station. This is a portable laptop that allows you to work any way you want to, depending on the task at hand. Maybe you want the screen a little further away, for a more ergonomic setup. Maybe you want to pickup the screen and write or draw on it, or use the pen to edit more intuitively in your application. 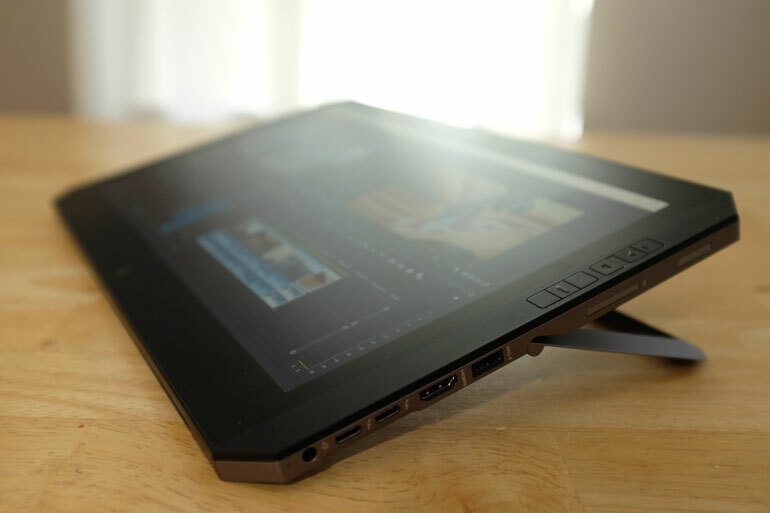 Or maybe you want to attach a second screen for a dual monitor video editing workstation, anywhere you go. Here's an example we quickly put together with an ASUS USB external monitor. From Dual Core to Quad Core Intel i7 processors. Choice of 8GB DDR4 RAM up to 32GB. 128GB up to 1TB of internal SSD storage. 14" 3840 x 2160 Ultra Wide View IPS multi-touch monitor, 10-bit with 100% Adobe RGB, anti glare touch screen. NVIDIA Quadro M620 Graphics Card with 2GB. HP Quick Keys - 18 shortcut buttons to speed up creative editing. Bluetooth detachable keyboard with internal rechargeable battery. Two Thunderbolt 3 ports, SD card reader, HDMI 1.4 port, USB 3 port, combo microphone/headphone jack. Bang & Olufsen dual stereo speakers, webcams (front facing and world facing). Wacom pen that doesn't require charging, has near zero latency, 4096 levels of pressure sensitivity, palm rejection, tilt support, and it has an intuitive tail eraser just like a real pencil. The Pen includes a customizable button, which is really useful. Physically, the HP ZBook x2 is different from most laptops we've used. The hardware is almost entirely in the screen unit, rather than in the keyboard. That makes the ZBook x2 top heavy, which makes it a little awkward to use as a laptop on your lap. With the keyboard, the computer weighs 4.8 lbs. The tablet by itself weighs 3.6 lbs. This is not a lightweight computer by any stretch of the imagination. However, the hardware is worth the added weight for processor-intensive creative applications. 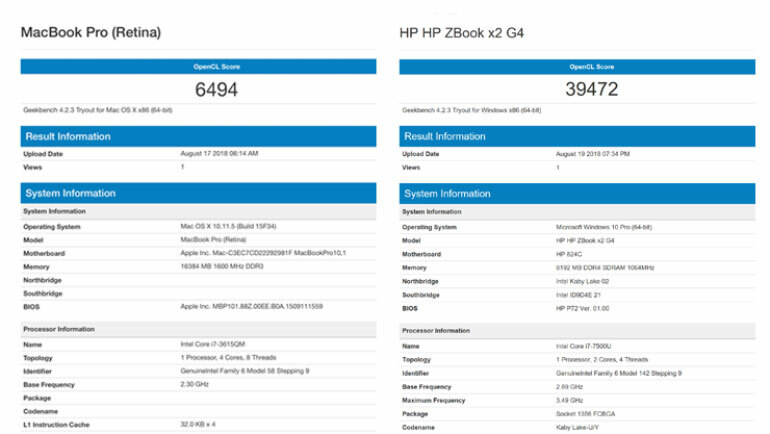 We did a quick Geek Bench test, comparing the ZBook x2 G4 to our older Macbook Pro Retina 15-inch. Needless to say, the ZBook is powerful. When the 12.9 inch Apple Ipad Pro was released, it was marketed as a tablet that made PCs unnecessary. Of course it fell way short of that promise, simply because iOS is not a replacement for a fully featured operating system like Mac OS. 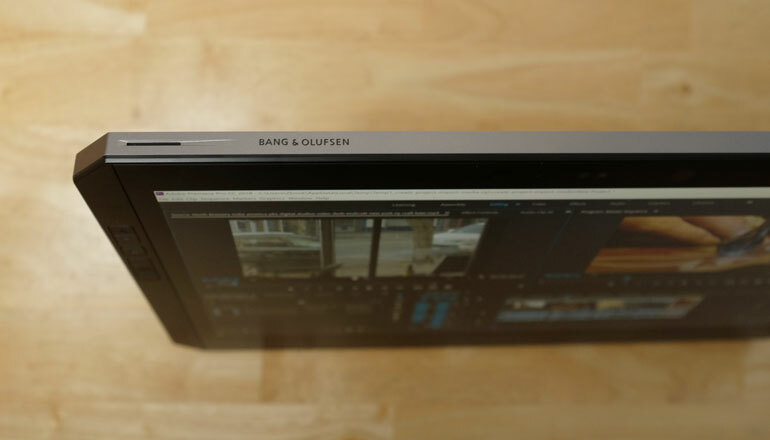 But the HP ZBook x2 flips that approach around - is it a PC that makes tablets unnecessary? In a way, it's like carrying around a laptop and a high end tablet in one device. Except the operating system is much more sophisticated than Android or iOS. Even if you don't use it as a tablet, having a touchable screen on the ZBook is a useful option for creative workflows. You don't think you need a touchable screen until you start using one. There are lots of times when it's simpler to just reach over to the screen and intuitively use your finger, rather than a mouse or touchpad. In our opinion, the major highlight of the HP ZBook x2 is ​the detachable screen. 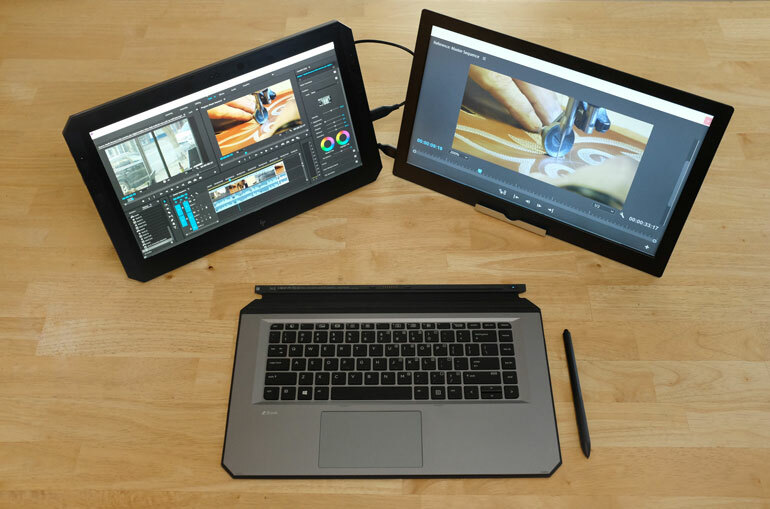 There are many other laptops that offer powerful specs, and there are a lot of tablets that are essential for creative professionals. But being able to customize how you operate your computer, depending on your mood, current task, or where you're sitting (or standing) - that's very helpful when you're at your computer for much of the day. To detach the screen, you simply pull it apart from the keyboard. The connection feels secure, so you don't need to worry about it loosely detaching on its own. Once the keyboard is detached, it automatically stays paired over Bluetooth. So now you can move the screen anywhere where it feels comfortable, while keeping the keyboard next to you on a table or on your lap. 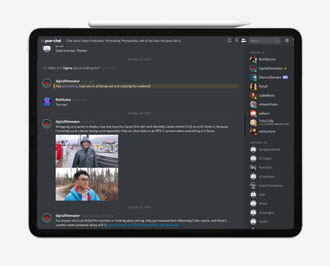 This feels very freeing, to be able to set your screen farther from your eyes, on a different surface, or in a row next to another screen (like our dual monitor setup in the beginning of the article). You can also adjust the kick stand to any height that feels right. So if you want it flat on the desk or in your lap, or at a slight angle for working with the pen stylus, you can choose what works best for you. 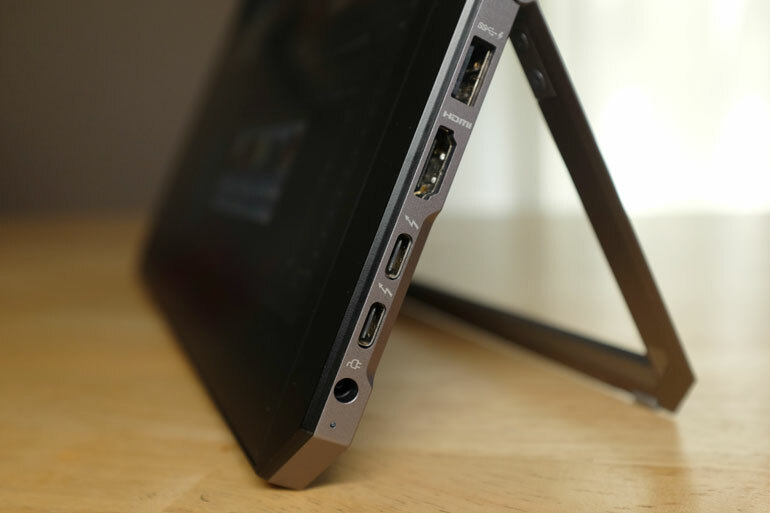 And because the ports are all built into the screen, you don't have to disconnect everything when you want to pick up the ZBook x2 and use it as a tablet. With the two Thunderbolt 3 ports, you can have it attached to an additional monitor, or your external hard drive, or other accessories. 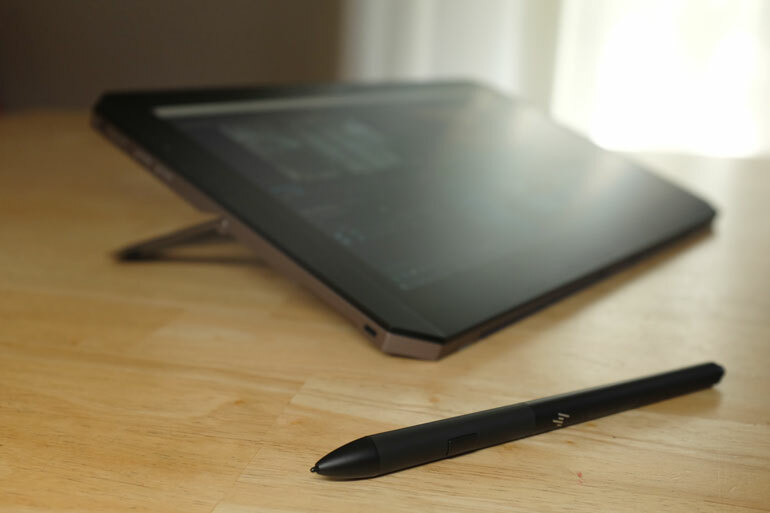 Then when you feel inspired to work in tablet mode, you can pick up the ZBook and start working with your fingers or the pen accessory, and not have to change your workstation setup. But if you haven't used Windows in a while, that can be a tough transition. The HP ZBook pen is optional but included in the B&H kit. It's very nice to use for both drawing or writing, or working with various creative apps. It has over 4000 pressure sensitivities, and best of all, it requires no recharging. For drawing or painting, the pen has an eraser built-in, which makes it feel very intuitive to use for sketching. For other applications, the pen has a customizable button, so you can use it in Premiere Pro like a mouse, and assign the customizable button to a secondary task. ​Options are always good for the consumer, but we creative professionals have been a little stuck the last few years. We love our iMacs and MacBook Pros, but the specs continue to get more and more outrageous. A maxed out iMac Pro can go upwards of $15,000, and the recently released MacBook Pro costs close to $7,000 for a maxed out version. So windows-based machines like HP and the Microsoft Surface line have been providing creative professionals alternative ecosystems. 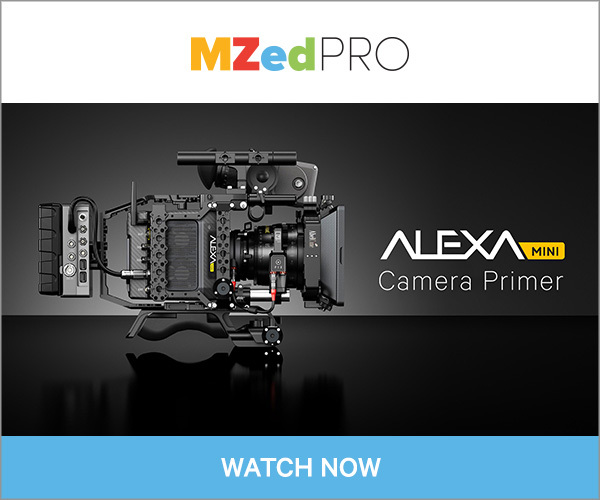 If you've built your video editing workflow around FCPX, you're out of luck, but if you already use Adobe Premiere and After Effects, you have computer options. And that's true for more than just video editors. For any artist, designer, or photographer considering switching from an iMac or MacBook Pro to a Windows-based laptop like the HP ZBook x2, there are clear benefits ​in terms of getting more power for your buck, especially if you already use Adobe Creative Cloud applications. The major frustration with switching from Apple to PC ​still comes down to Mac OS versus Windows. If you haven't used Windows for a while, you could face a steep learning curve. Windows 10 Pro has a ton of shortcuts and features that are meant to help you find what you're looking for, but in our opinion it's way over-engineered and a bit headache-inducing to get around all the "helpful" bonus features and options when you're trying to do just basic core tasks like managing files and switching between applications. 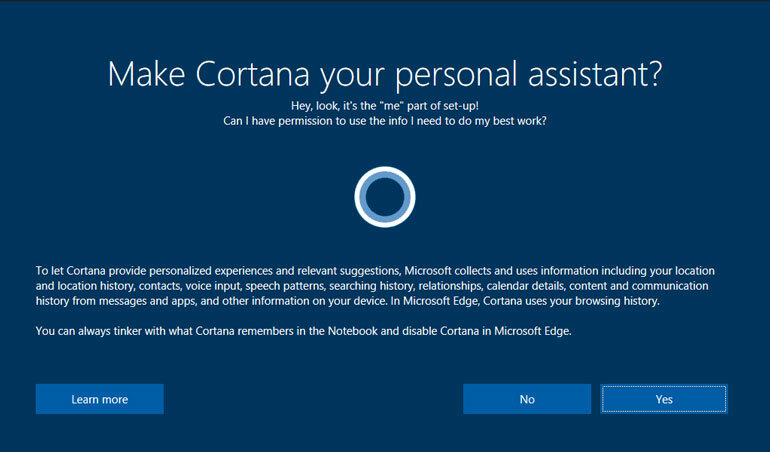 The initial Windows 10 Pro setup alone can be daunting, with Microsoft's Cortana voicing you through the setup screens that try to elicit your approval for this or that service. Saying "No thanks" to all the offers to sign into your Microsoft account, receive tailored product suggestions, approve automated updates, get related emails in your inbox, and so on . . . it just feels like a lot of work before you can even launch Windows for the first time. On the upside, once you get past the learning curve, it all becomes simply adjusting to the ins and outs of Windows and the software you're using. We imported our video appearance release form and other video production docs, to enable us to use the ZBook x2 for signing documents during production meetings and on the road. 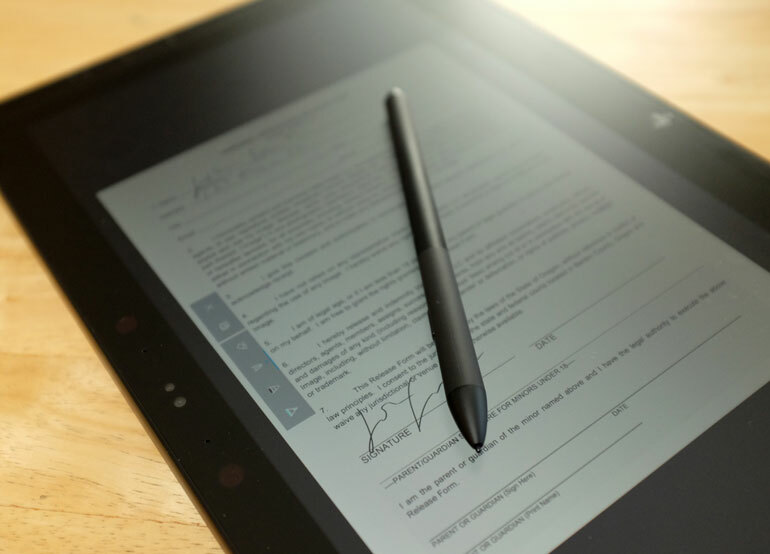 Even though it took a little bit of effort flipping through the various apps that can draw on an image or PDF, the ZBook tablet experience makes it a lot easier than trying to get a client to sign a PDF using a touchpad. The ZBook X2 isn’t the only detachable computer out there of course. The Microsoft Surface ﻿lineup have finessed this product category for years. 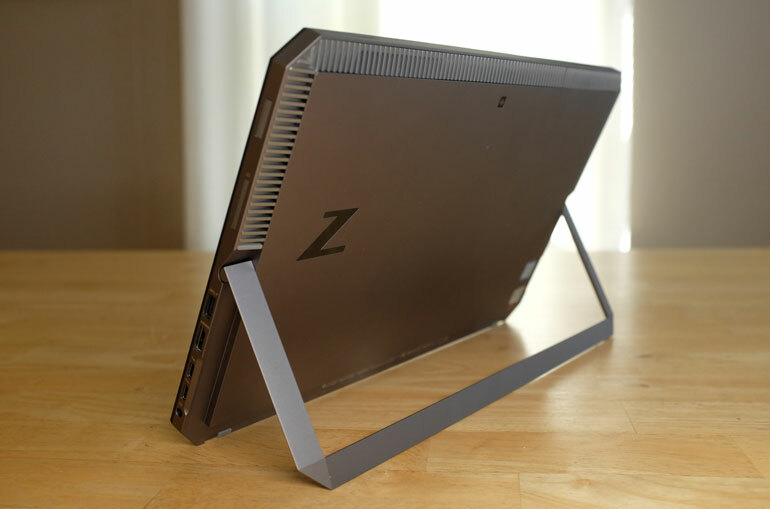 But the ZBook x2 has some significant differences from the Surface line. For one, the guts of the ZBook x2 are in the monitor piece, rather than under the keyboard. That means you don’t take a hit in processing power when you use the ZBook as a tablet. Or alternatively, if you want to have the ZBook screen detached and placed at a more comfortable distance from the keyboard, you’re not splitting your hardware up at all. On the Surface, however, when the screen is detached into tablet mode, the hardware is split up and it converts from a fully fledged notebook into a little tablet. That means the discrete graphics card on the Surface Book, for example, stays with the keyboard, while the screen uses a limited graphics card and smaller battery. It makes sense for the Surface to do this, because it’s intended to be a sleek, consumer friendly 2-in-1 computer and tablet. The HP ZBook x2 G4, however, is not sacrificing any power to satisfy multiple competing use cases. It simply is a powerhouse notebook computer, with a touchscreen and Wacom pen for drawing, and as a bonus, the keyboard is detachable and becomes a bluetooth keyboard. Alternatively, you can think of it almost like a little iMac, with all the hardware behind the screen. But with a touchscreen, and a keyboard that attaches to turn it into a notebook. 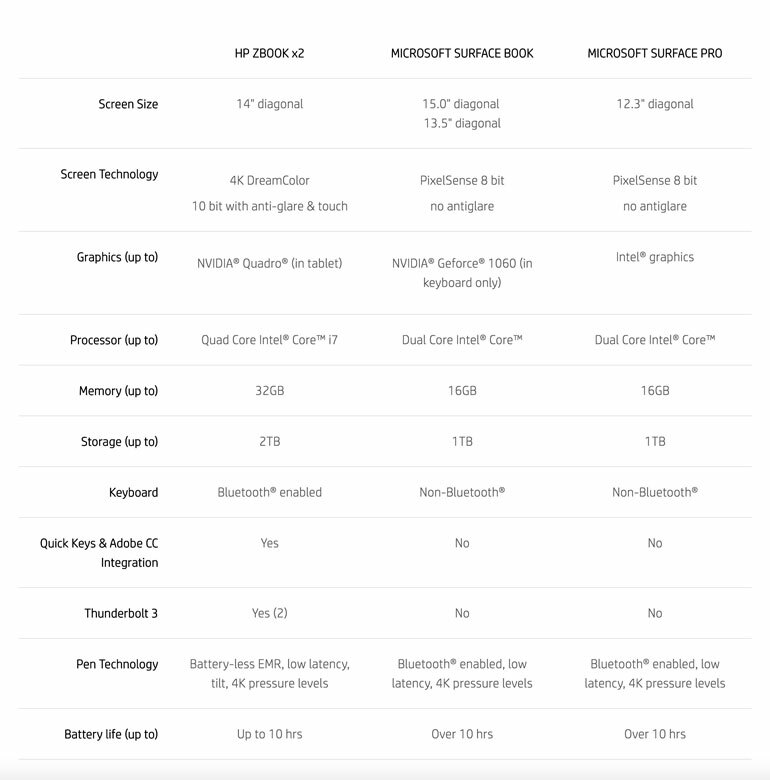 There are other differences between the ZBook x2 and Surface, which HP has outlined in their comparison chart. The ZBook x2 has a better screen, graphics, processor, and more memory and storage. Basically, better hardware for creative pros who live and die by the hardware. 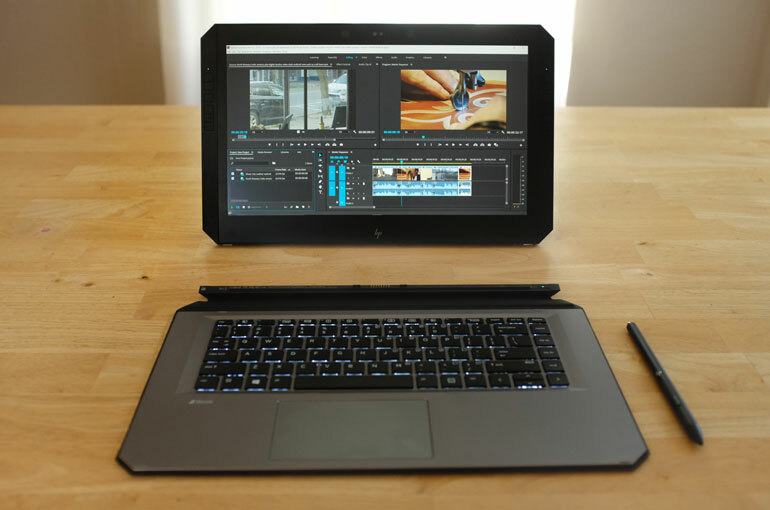 The HP ZBook x2 G4 is a very versatile workstation for creative professionals, whether you work at home, in an office, or on the road. It gives you the ability to choose how you work best, without sacrificing processing power. Maybe today you're drawing concepts in tablet mode, and tomorrow you have a dual monitor setup to edit your ideas. 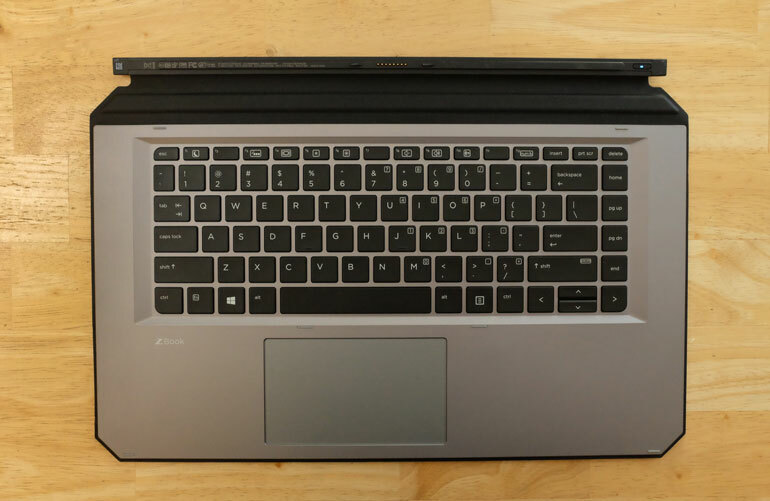 Laptops in general ought to move to the detachable keyboard model, simply to free everyone from the constraints of having your hands type on a keyboard inches away from the screen. In the meantime, the HP ZBook x2 is available now, if you're ready to jump into a new mode of creating while computing. Deal Alert: Right now, B&H Photo Video has an exclusive $1000 discount on the HP ZBook x2 G4. The deal is only active for a few more days, though, so act fast if you want over 50% off a Zbook X2.